Summertime Mix vol. 1 Is Up NOW! 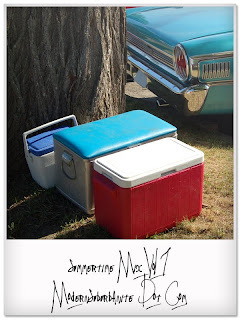 Click on the coolers to crack open some choice summertime tunes. These sound GREAT on a day like today- trust me. Track listing after the jump. Note: 8tracks.com will randomize the mix after the first listen, so I'm not assigning track numbers. Still, these songs sound pretty great in the warm weather. Comments are moderated- please use common courtesy.